San Francisco: one of the hottest housing markets in the nation, where housing demand has surged along with job growth (about 30,000 new jobs since 2012), largely fueled by the rapid rise in “knowledge sharing” companies, like Salesforce, Twitter, AirBnB and LinkedIn. While 2014 was a banner year for housing construction in San Francisco (2,500+ housing units underway), the dramatic decline in construction during the recession means housing supply has not kept pace with demand. There are only 2.1 months of remaining inventory for condominiums—one of the lowest inventory levels since 2008, says Chris Foley of Polaris. Chris presented an overview of the San Francisco housing market at the recent SPUR panel, “Housing Forecast: 2015” presented in conjunction with the San Francisco Housing Action Coalition (SF HAC) and the San Francisco AIA. 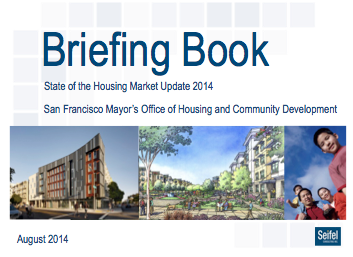 Chris estimates that San Francisco currently has a shortfall in housing supply of 15,175 housing units. The Office of Economic and Workforce Development’s (OEWD’s) Sarah Dennis-Phillips presented that San Francisco’s population is projected to grow by about 250,000 people over the next 25 years. 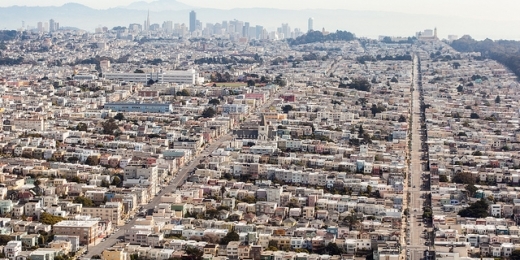 To help meet future housing demand, the Mayor of San Francisco has established a goal to produce 30,000 units by 2020, of which 30% would be permanently affordable and 50% would be within the financial reach of working, middle income families. The City has established a housing meter that counts housing projects as they are completed, helping San Francisco to track its progress. Tim Colen of SF HAC served as panel moderator, and Meg Spriggs of Shorenstein provided insights about how developers are viewing today’s and tomorrow’s San Francisco housing market. As presented in the panel, many local developers are now looking at development opportunities in Oakland and Emeryville, where a recent surge in home prices and rents has enhanced the financial feasibility of new development. The discussion ended with the conclusion that San Francisco needs to pursue a broad variety of strategies to increase the pace of development, as well as pursue new funding sources to help assure that the majority of new housing is affordable to the City’s diverse population.